FEAR: A distressing emotion aroused by impending danger, evil, pain, etc., whether the threat is real or imagined; the feeling or condition of being afraid. The fear is simply because you’re not living with life, you’re living in mind. Your fear is always about what’s going to happen next? That means your fear is always about that which does not exist. If you’re fear is about non-existing then your fear is 100% imaginary. If you’re suffering the non- existence we call that insanity. So, many people may be in just socially accepted levels of insanity, but if you’re afraid or if you’re suffering anything which doesn’t exist, it amounts to insanity. Isn’t it? Every time you feel fear, allow yourself to feel the sensations that it creates within your body. Don’t let your mind trick you with its stories and fantasies, created to make you believe in the illusion of fear as a reality. People are always suffering either what happened yesterday or what may happen tomorrow? So you’re suffering is always about that which doesn’t exist. Simply because you’re not rooted in reality, you’re always rooted in your mind. MIND – is one part of its memory, another part of it is imagination!! Both of them are one way imagination because both of them don’t exist right now. You’re lost in your imagination, that’s the basis of your fear. If you were rooted in your reality, there would be no fear. As you do, focus on shifting the feeling in your body to a state of wellbeing. 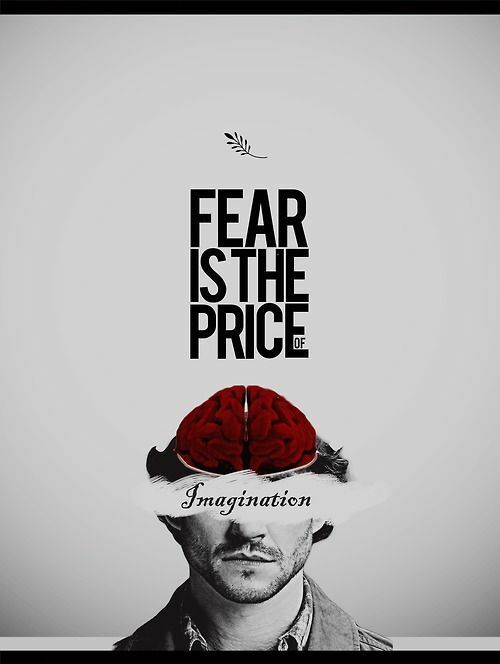 September 25, 2015 December 15, 2015 The root of all fear is imagination!! Bringing future into present with negative emotion is fear . Is it not ? Previous Previous post: How to get rid of stress?? Next Next post: Too much Too soon – Live rat race!